At Mad Alpine, we know the positive impact coaches can make in the lives of athletes. That’s why we only hire the best. Our team of coaches are fantastic motivators, great listeners, the best supporters and rich in knowledge of our sport. Mad Alpine coaches have a passion for skiing that is infectious and are eager to make skiing and ski racing a fun experience for all. Mad Alpine coaches are certified coaches with the United States Ski Association, are background checked, and are continually seeking education to improve their coaching skills. Skiing has been a passion for Sydney since she first jumped on skis before the age of two. Sydney grew up in La Crosse, Wisconsin and ski raced at the USSA level starting at the age of nine. Her love for skiing quickly grew into a passion for ski racing with dreams of skiing at the highest level. In her sophomore year of High School, Sydney decided to take her training to the next level by moving away from home to attend Stratton Mountain School in Stratton, Vermont. SMS offered an environment that catered to athletic and academic performance. During her time at Stratton, Sydney was able to travel the world where she trained with and raced against some of the best skiers in the world at FIS races, NorAM’s and U.S. National Championships. After High School, Sydney went on to ski for the University of New Hampshire, a Division 1 NCAA Ski Team. During her time at UNH, she was consistently one of the top slalom skiers in the country. During her tenure at UNH, Sydney consistently placed in the top 10 in both disciplines (including 26 top 10 finishes and one win). Sydney was a Team Captain at UNH, a 4-time Academic All-American and a 2-time Athletic All-American who attended NCAA Championships all four years. After college, Sydney and her husband David moved to Madison, Wisconsin where they both worked and helped coach for MART (Madison Alpine Race Team). After many years as a successful sales and marketing professional, Sydney decided to once again focus her energy on the ski racing community to make an impact on the lives of young skiers. Sydney started MAD ALPINE in 2014, which is the premier USSA program in the greater Madison, Wisconsin area. Her experience, coupled with her love for the sport and enthusiasm, is a great combination to help athletes reach their potential. Sydney is level 200 certified and holds a position on the Central Region 2 USSA Board as coaches chair. David “Koop” started skiing at the age of nine shortly after moving from the Philadelphia area to Woodstock, Vermont. He quickly found that ski racing aligned with his personality – he had high energy, liked being challenged and loved to go fast. He caught up to the rest of his competition quickly and soon was quickly one of the top skiers in the East. Koop attended Stratton Mountain School in Stratton, Vermont starting in his Sophmore year of High School. In his senior year, he won the over all at Junior Olympics securing him his first trip to U.S. Nationals. Koop took two post-graduate years after High School to purse his dream of making the US Ski Team. A back injury cut that dream short and redirected him towards college. He attended the University of New Hampshire, a Division 1 NCAA Ski Team. While at UNH he qualified for two NCAA Championships and was a 4-Time Academic All-American. After college, David (and Sydney) moved to Madison, Wisconsin where he worked and spent a few of years coaching for MART (Madison Alpine Race Team) as well as racing the USSA and FIS circuit for fun. During that time, he was the Carruthers Cup Champion, which is awarded to the top FIS athlete in the Central division. David is a Chief Financial Officer for a business in Madison and looks forward to taking on an active coaching role for MAD ALPINE. Koop is level 100 certified. Dylan Palchik began skiing in 1989 at the young age of 2. At age 4, Dylan joined the Tyrol Basin Ski Team to compete in the Wisconsin Junior Alpine Racing Association (WIJARA). At age 8, Dylan began the transition from junior racing into United States Ski Association (USSA) Central Region, for the Madison Area Race Team (MART). During these development years, Dylan spent many Thanksgivings, Christmas and his summers skiing, starting at age 10, for world renown and other expert coaches: Erich Sailer from Buck Hill who held Ski Racing Camps in Colorado and Red Lodge Montana; Jon Nolting, Head Coach of the Winter Park Ski Team, who held ski camps at Winter Park, Colorado; Gilboa Racing who held ski camps at Mt. Hood in Oregon; and lastly Martin Tichy of Tichy Racing who held ski camps at both Copper Mountain, Colorado and Mt. Hood in Oregon. Dylan began participating in USSA Central Region FIS racing during his freshman year of high school and continued through college. Dylan additionally skied in the competitive Wisconsin High School Alpine Ski Racing Association (WHSARA) while overlapping with FIS and USSA racing finishing with a 1st year of high school for his division individually. Additionally Dylan qualified for High School Alpine Ski Racing Association nationals each of his three seasons he competed helping lead his team to three 1st in his conference and at state. During Dylan’s junior year of high school he lived in Edwards, Colorado and skied for Ski and Snowboard Club Vail competing in FIS racing for USSA Western Region. During college he began intermittently coaching for MART, including coaching at (5) ski camps at Ski Brule in Iron River, Michigan. In 2013-14 Dylan began officially coaching for Blackhawk Ski Club in Middleton, Wisconsin while continuing to intermittently coach with MART. Dylan now begins his 2014-15 ski year by signing on to coach again with the Blackhawk Ski Club and has additionally joined the MAD ALPINE as a coach. By joining MAD ALPINE, Dylan wants to deliver his knowledge and experience to the team and hopes to help as many junior racers in their development as possible for the joy of skiing. Derek began skiing at the young age of 2, and has had a passion for the sport ever since. His home hill is Chestnut Mountain Resort, in Galena, IL. where he spent the majority of his younger years skiing and training. At age 5, Derek competed in his first “race” at a spring fun race at Marquette Mountain where, had he made all of the gates, he would have gotten 10th place. He received a plastic gold medal, and was soon after hooked on racing. Derek raced in the Wijara circuit for most of his career, raced some USSA, and competed in Wisconsin High School ski racing. Whether it was racing, training, playing in the park, or just simply making turns, Derek loves being on the snow. After taking a few away from racing during college, Derek grew to miss the sport and turned to coaching, where he was lucky enough to join the staff of MAD Alpine. Derek has been an huge asset to Mad Alpine, he knows how to keep training fun while keeping a large focus on drills and strong skill acquisition. Starting in the 2018 season, Derek will be taking the lead with our WJR team where he is excited to to help shape the next generation of athletes. Derek is currently enrolled at the University of Wisconsin-Madison where he is pursuing a Master’s Degree in Social Work and Psychotherapy. Derek’s philosophy is a mix between determination, focus, and fun. He believes that building up good racing habits over the ski season is crucial to improvement, but you must not forget to have a blast and love the snow. Derek is level 100 certified. Laura began skiing at the age of 3 on a family trip to Indianhead in the UP. The following year the Voegeli family joined Blackhawk Ski Club and Laura took off with skiing. At the age of 9, Laura joined the Tyrol Basin Ski Team and competed in WIJARA. After one year in the WIJARA league, Laura made the switch to race USSA with Pat Slattery on the Madison Alpine Race Team (MART). Laura competed at several Junior Olympics and High School Nationals. At the age of 15, Laura joined FIS and traveled around the United States and Canada for races. After graduating high school, Laura attended UW Madison and skied on the club team there for four years. During this time, Laura also coached with MART at the annual Brule camp over Thanksgiving break. Laura graduated with degrees in Spanish, Education, and Math in May 2015 and is currently in Law School at the University of Wisconsin. Jake grew up in Minnesota where he started skiing at the age of two. He was hooked on ski racing from the beginning and rose through the junior ranks in the Central Division. At the age of 15 he moved to Vermont where he attended Stratton Mountain School. Jake competed with the U.S. Ski Team Development Team in 2007 and raced at the Junior World Championships in Austria. From there, he went on to ski at Middlebury College where he qualified for two NCAA Championships. Since college, Jake has been coaching with clubs in the Midwest, as well as one year as an assistant men’s FIS coach at Killington Mountain School. He worked on the race crew at the 2016 Killington Women’s World Cup, where he cheered Mikaela Shiffrin to victory in the slalom. Jake currently lives in Madison with his wife Danielle and is in his second year at the University of Wisconsin Law School. Blair embraced an early passion for the sport of skiing at the age of 3. Growing up as the general manager’s son at Chestnut Mountain, Blair was granted opportunities such as room on the hill, catching the school bus from the mountain and skiing rope tows well past closing dates. He probably logged as much snow time in his youth as anyone in the country! Blair started racing locally around age 6 , progressed into USSA and FIS racing and eventually competed in pro peugot races. After high school, he settled in as high tech rental tune repair guru as well as a Nastar pacesetter and race director until the early/mid 90’s. Blair’s’ first of 4 ski racing children (Alex, Derek, Sid & Reilly) was born in 1991, which brought him to youth coaching at Chestnut for the Wijara team until 2009. Blair then progressed into coaching J1/J2/J3 athletes for the Tyrol Basin Ski Team. Blair has also coached high school co-op teams in the Whsara Madison league for the past 6 seasons. Blair looks forward to joining the Mad Alpine program with his son Derek as coach and daughter Reilly who skis for the program. Blair says that he has always lived and skied with the motto to have fun, whether playing in the park, hanging some good air, poofing some pow, mashing moguls or slicing the narliest GS carves. He encourages athletes to try as much as you can on a pair of skis because he believes that nothing teaches you more than play and fun. Kevin grew up in LaCrosse, WI, and began skiing at the relatively late at age 11. He began racing at Mt. LaCrosse in high school. Kevin attended UW- Madison and earned a BS in Mechanical Engineering. During his time at the UW Kevin was an athlete on the UW Alpine Race team from 1998 - 2003, leading the management of the team for 2 years as Director. After graduating and spending a year in Montana and Costa Rica, Kevin returned to Madison and coached the UW Alpine Team, a part of the Superior Division in the Midwest, for 6 years, from 2004 - 2010. Kevin also coached the Blackhawk race team the first two years the race program started at Blackhawk, in 2004 and 2005, He earned his MBA at UW - Madison which made participation at Blackhawk time-prohibitive. In 2010 Kevin and his lovely wife, Laura, gave birth to their daughter, again trigging a step away from this coaching role at UW Madison. By 2010, Kevin had been involved in the Midwest Region of USCSA (United States Collegiate Ski Association) for 12 years, and was recruited to fill the opening of Chicago Division Coordinator, a role which Kevin has held since 2010. In 2013 Kevin added instruction at Blackhawk again, participating in the programs that his daughter, now 3 years old, could participate in. Kevin continues his involvement at Blackhawk. Having known Sydney for over 20 years from their time together in LaCrosse, Kevin is thrilled to join the outstanding team of Mad Alpine coaches. Kevin believes that skiing is a life-long activity which turns the winter into a playground. Ski technique can always be improved and the best way to become a better skier is to train as a racer. When not skiing, Kevin is the CXO (Chief Experience Officer) of Access Physicians, a Dallas, TX based physician group that specializes in providing acute care via telemedicine. Kevin was the first employee in Madison, now home to a small Access Physicians office. Brett began skiing the winter he turned 2 right here at Tyrol Basin and was taught by his dad who was a USSA racer when he younger. Brett loved to ski and spent a lot of time mastering moguls and freeskiing but never raced. In 1990 Brett went to school at UW-Madison and joined the Hoofer Ski and Snowboard Club and began snowboarding. As the director of their ski and snowboard school his Senior year he spent a lot of time teaching both skiing and snowboarding and also began to compete in snowboard competitions. After college Brett started working at the Veterinary School at UW-Madison and also worked at Tyrol Basin as an instructor for both skiing and snowboarding and worked on his PSIA certifications in both disciplines while focusing on competing in the speed events in snowboarding eventually winning a national championship in GS for his age group. Once Brett’s son Jake started skiing and racing Brett moved on to coaching other snowboard racers and hardbooters. 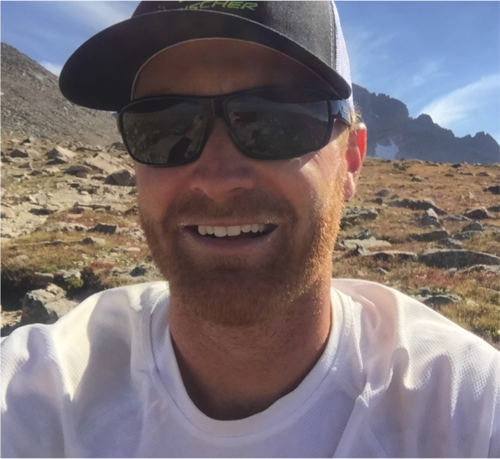 As Jake transitioned in to USSA racing Brett joined Mad Alpine as a new coach and has been transitioning his racing skills and knowledge to ski racing instead of snowboard racing. Brett looks forward to continuing to work with the athletes and to continue to build on his ski racing knowledge. Steve grew up in a ski jumping family in Westby Wisconsin and started jumping when he was 3 years old. His passion for skiing has lasted ever since. When he stopped competing at the age of 19, he took up alpine skiing and joined the National Ski Patrol in 1982. He started coaching in 1993, is a level 100 coach, and an active member of the Region 1 board. Over the years, Steve has helped develop multiple Junior Olympic champions, Wisconsin State High School Champions, and NCAA All-Americans. He has been coaching for most of the past 22 years in La Crosse. Over the past 4 years, he has been the lead FIS coach. In October of 2014, Steve took over the head coaching position at Mt. LaCrosse. In addition to his coaching responsibilities in LaCrosse, Steve looks forward to working with Mad Alpine this season. Steve greatly enjoys working with young athletes to help them reach their potential and to help them build their passion for the sport. Eric “Cates” cut his teeth at the Wintergreen Ski Area in his backyard of Spring Green, WI for one year before it unfortunately closed its doors for good. Luckily for him, Tyrol Basin was not too far away. He then spent the rest of his formative years skiing, training, and racing out of Tyrol Basin, going through the Tyrol Basin Ski Team and racing the WIJARA circuit as a young lad, moving on to the MART (Madison Alpine Race Team) under Pat Slattery to race USSA and FIS. Through those years, Eric became a strong competitor in the Midwest on the FIS circuit as well as being crowned the High School State Overall Champion in 2003. After High School, with collegiate skiing on his mind, Eric took a PG year in Austria to experience the real Tyrol mountains and gain some valuable experience as a full-time skiing athlete. After a long and tough, but rewarding year in Europe, Eric matriculated and skied for Dartmouth College, a NCAA Division I ski team. During his time there, he was fortunate to be a member of the team during their undefeated 2007 season, where Dartmouth walked away as the NCAA Div I National Champions…an unforgettable experience. After graduating in 2008, and knowing that financially, a push to continue ski racing just didn’t make sense, but not ready to let go; he turned to coaching. His first job out of college was working as a FIS Coach with the Steamboat Springs Winter Sports Club (SSWSC), always a favorite place for Eric to race in the past. At SSWSC, Eric quickly felt at home and had a lot of success and fun with his coaching. Leading trips to Austria, coaching kids to podiums at U18(19) National Championships, to US Championships, working with the US Women’s World Cup Tech Team in New Zealand; he fell in love with it. After 5 years in Steamboat, the chance to coach at the collegiate level came and Eric moved to Bozeman, MT to coach for Montana State University’s Div I Ski Team. Working with collegiate athletes was a natural progression and he loved everything about it. His plan was to stay in Bozeman for a few years, but SSWSC called him after a year away and enticed him back to be the Head FIS Coach. Eric spent the last 2 years in Steamboat, loving being in Steamboat even more than then before. Recently though, Eric and his wife Kiley decided it was time to move back to Wisconsin and set some roots and are now taking over their family farm after 8 years of coaching. In 2017, Eric coached as the head WJR coach for Mad Alpine and in the summer of 2017 took a job with US Ski & Snowboard as the Central Division Manager. We are excited for him and his new journey and look forward to having in drop in to practice when his schedule allows.